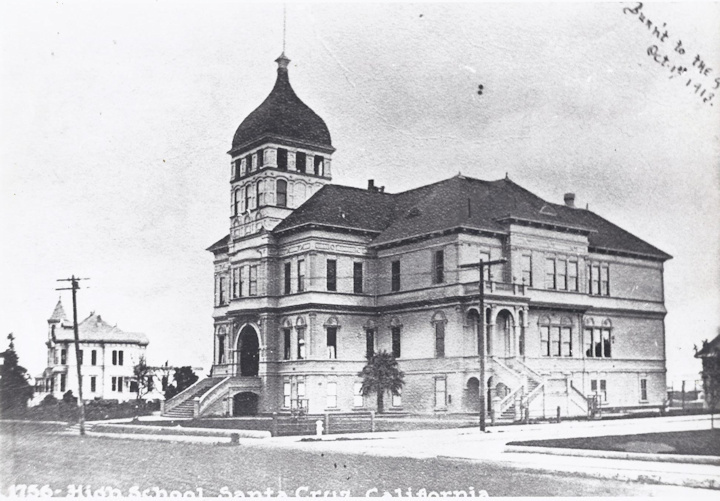 ORIGINAL SANTA CRUZ HIGH SCHOOL 1895-1913. This was our first high school. It had about 200 students when it opened. That’s architect William Weeks house on the Left. It was later moved to California Street . Our present high school stands in the same location, Walnut and California Streets. OPERA VERSUS TRUMP. Thanks to Puccini we have this late breaking news. THE QUEEN’S ROYAL GUARDS GET ANGRY!! I’m not sure if all these clips are real but check out the attitude!!! BEE HIVE ART PIECE. Gwyan Rhabyt (resident of Swanton Road) has made this very strange art piece. Watch it…it’s beautiful. AN ORIGINAL WONDER WOMAN. Lynda Carter as Wonder Woman. De LAVEAGA WATER GOLF CURSE/COURSE!!! Debbie Hencke kindly sent statements and statistics about the huge share of water that goes to our public golf course. I’ve added a few items. She states… “the Parks and Recreation report shows that 13% of their budget goes to the golf course. It is not self sustaining! How much do the citizens of SC have to fork over so people (the administration especially) can play golf? There are 40-50 golf courses/year disappearing because they are not environmentally sustainable, yet Santa Cruz continues to fund this course. Why? This report is taken from documents for the University of California Santa Cruz…it shows that City industrial use is 2%, Municipal use is 2%, AND IT SHOWS DeLaveaga golf course irrigation uses 58 millions of gallons per year!! Of note, the golf courses uses potable water – this is water the people of Santa Cruz are paying for. 2% of $30,660,755 total water department budget is $613,215. It is unclear if that is part of the cost of projected expenses for DeLaveaga or is in addition to them.. It is also close to the amount of money for the Net General Fund cost for Bob Lee Community PACT Inebriate Program ($300,000) and Homeless Coordinating Committee Recommendations ($360,000) I venture to say that the cost for youth programs doesn’t even come close to $613,215. Of note, The Parks and Recreation budget has increased from $7,950,133 in 2016 to $10,834,113 request for 2018 a 27% increase. Debbie adds… “Wish I had that kind of increase in income!”. INPUT ON THE LIBRARY–GARAGE PLAN. As we’ve been hearing almost on the Q.T. the city is really pushing to build a new downtown library on the bottom floor of a new five (5) story parking garage. The Campaign for Sensible Transportation (CFST) sent out important reactions to that plan. Rick Longinotti from the Campaign F.S.T. says.. Think of us as practitioners of the martial art, Aikido. Coming at us is a proposal for a new library and 5-level garage on the lot where the Downtown Farmers’ Market meets. You, and the rest of us, need to redirect the City staff’s energy in a more positive direction. We’ve already noticed a shift in the staff’s position. When they first floated the garage idea at a December Council meeting they did not include Transportation Demand Management (TDM)—incentives for commuters to get to work by means other than single occupant autos. Subsequently the City Manager has directed staff to come up with TDM options for the Downtown Commission and City Council to consider. The staff are still motivated to build a garage. This is partly due to the belief that future parking demand will grow and cannot be adequately addressed through TDM. This belief is not substantiated by any analytical study. On the contrary, three different consultants advised the City to first implement a TDM program before trying to estimate future demand. Part of the staff motivation for this project is to build a bigger and better library than what they could spend with library funds alone. Programs that address the homeless issue in our downtown. Reducing/eliminating the parking deficiency fees charged to businesses. We shouldn’t subsidize parking if we don’t want to encourage parking! LAWRENCE FERLINGHETTI POEM. Dan Bessie now resident of France (formerly of Santa Cruz and Los Angeles) sent this absolutely perfect poem written by Ferlinghetti decades ago. He is now 98 years old and is of course the co-founder of City Lights bookshop in San Francisco. JACK O’NEILL TEE SHIRT DAY. John Sandidge of KZSC’s Bushwhackers Breakfast Club fame is organizing a special day this Friday June 9. Nearly everybody in Santa Cruz owns an O’Neill tee shirt. Let’s all wear them this Friday. So far KPIG, Good Times, KSCO, KZSC, Snazzy Productions and Rick Novak are all working on it. Send out notices on your favorite media!!! Actually lots of folks will be wearing their wet suits or any O’Neills gear!!! “I watched that photo being taken. I was her host for the visit. Picked her up at Monterey airport. The easiest guest I ever had. While we were having tea, a phone call came for her…from Pierre Salinger and the White House. (Pierre S. and I were school mates in LA.) She had to fly to NYC as she was our rep at the UN and there was an important meeting the next morning. So I drove her to SFO, where Air Force One was waiting”. 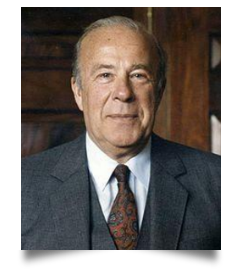 Bill Grant. Ask Bill what a Cabrillo “mossback” means. LOCAL TRUMP VOTES. Lest we ever forget, Trump got 22,438 votes out of 132,165 cast in Santa Cruz County. I think it is important that we never lose sight of that vote. I’m going to keep “printing” this for the next few years!!! The Santa Cruz cash cow is being prodded towards the Economic Development barn where greasy palms wait, eager to milk her dry. Four huge projects are planned that promise to forever alter the character of this small town, erasing history, familiarity and human scale. All are facing major community opposition, which begs the question of whose interests are being served. Let’s start with the Wharf Master Plan (WMP), which was pushed back six months ago by significant public opposition and community scrutiny of its inadequate environmental review. You may recall that the WMP, drawn up on paper by the San Francisco urban planning firm ROMA, was funded by an 850 thousand dollars grant from the Federal Department of Commerce applied for by the city under the category of tsunami relief. Never mind that the wharf sustained no significant damage from the tsunami unlike the harbor, which did. This money, augmented by 150 thousand dollars from the Parks and Recreation Department’s budget paid for ROMA to inspect the wharf pilings (the vast majority found to be in good condition) and to draw up on paper a plan for a complete make-over of the century old wharf ignoring its history and its place in the hearts of most Santa Cruzans and long- time visitors to this iconic landmark. The city has just announced the beginning of the process for an EIR (Environmental Impact Report) for the Wharf Master Plan. It took two and a half thousand people signing a petition of Don’t Morph the Wharf and a letter from an environmental attorney to pressure the city to agree that a project of such environmental significance requires an EIR. Of course EIR’s rarely reject a project if the bias and intent is to forge ahead and the city makes no bones that this is the direction for the Wharf Master Plan ( WMP). Council members could reject the project, which is a political battle. A meeting for public input on what should be included in the EIR is being held on Wednesday June 14th at 6:30PM in the Police Community Room. On the same evening and at the same time in the city council chambers is a meeting of the newly formed Library Advisory Committee to discuss plans for the renovation or removal of the current downtown library to be squashed under a five story parking garage where the Farmers’ Market is located on Wednesday afternoons. The removal of the library from its current location, the erection of a five story mausoleum to the automobile and the displacement of the Farmers Market all face significant community opposition. Disdain for the public is evident in the city’s decision to hold such important meetings at the same time as well as proposing such unpopular projects in the first place. Of course it’s not about the public: it’s about profit. Assurances that such profit will eventually trickle down in the form of money for social services echo the sophistry from the Reagan era. Add to the above the Corridors Plan and the Downtown Recovery Plan, both on the fast track for council approval and both being a windfall for real estate interests and developers and you get a feel for the magnitude of this re-make of Santa Cruz. 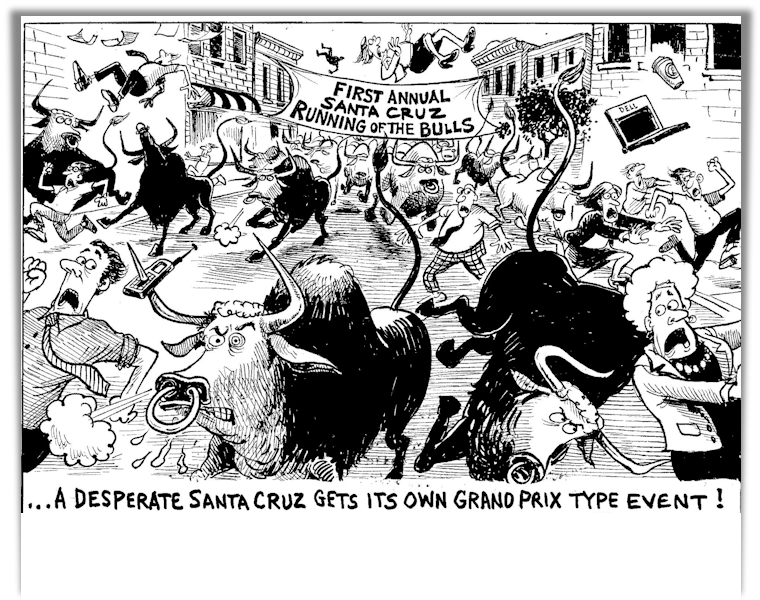 Of course Santa Cruz has changed over the past century and folks from that era would hardly recognize their town. Sure change is inevitable but that truism conceals the drivers of change and whose direction it favors. Except for developers and city officials who serve their interests, who would object now if locals in the their respective eras had successfully headed off the Dream Inn; allowed the San Lorenzo to meander in a natural riverbed with flood control achieved by building on higher ground; saved the original Downtown Library; required UCSC to stay within sustainable growth limits? Change can occur in many directions, not just the one on developer’s spreadsheet. The sheer magnitude of what is on the city’s development wish list requires that we organize and demonstrate to the decision-makers that we refuse to lose any more of Santa Cruz to the highest bidder. “If you are going over a cliff and you slow down, you are still going over the cliff”. 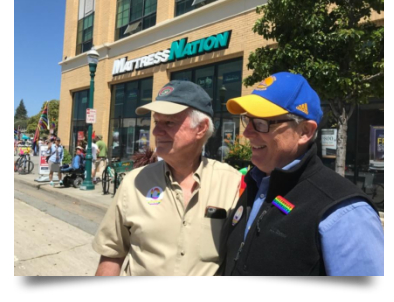 Pride Day in Santa Cruz! Never saw such crowds on Pacific Avenue this past Sunday. (Okay, not since last year’s Pride) Pride Day makes you really proud to live, work and play in Santa Cruz…no room for hate here, day for everyone to lay down our varied political swords and shields and march under one banner…it is as hypnotic and peace-building as it is awe-inspiring and visionary to see our community come together around some remarkably hard-won struggles: the rights and respect for the GLBTQI community in our community. I felt it today in large doses. I marched with the “politico” contingent, which included Santa Cruz City councilmembers David Terrazas, Richelle Noroyan, and Mayor Cynthia Chase; our US Representative, Jimmy Panetta was there too and so were Supervisors Ryan Coonerty, Zach Friend, and John Leopold. Of course, our own (and the state of California’s too),Secretary for Natural Resources, John Laird seemed to be everywhere. I even got to talk Sacramento and Warriors basketball politics with State Senator, Bill Monning, who then introduced me to one of my long-ago heroes, Charlie Clements. I first came across Clements when he was doctoring in remote villages in El Salvador as the US was funding a terrorist government in the capital, San Salvador. Witness to War, his book and subsequent movie were well known amongst the aid workers in Nicaragua where I was running a Spanish language programat the time. Clements’ work helped crystalize why we were working in Central America against injustice and outright hypocrisy of another now discredited US Republican administration—Reagan, Weinberger, Schultz, Kirkpatrick and Abrams. Remember that motley crew of rightwing zealotry?! We thought our government had hit rock-bottom…until “the Donald” showed up. I ended up marching in the Pride parade behind Monning and alongside Clements, what a joy! Clements is recently retired from the Kennedy School at Harvard and told me he was able to weave human rights training into every policy course he taught. Go Charlie! The Santa Cruz Power Elite Makes an Appearance on Ocean Street. Why is it so damn hard to fund the necessary homeless services we need and require in this city of 63,000 with a median household income of almost $67k? Surely, we can figure out how to share our stuff more. (Oh, that’s right, maybe that’s why voters elected a city council…to figure out how to share community stuff…?) As I pointed out here last week, the city’s General Fund budget, that chunk of change $ that the seven-member city council has discretion over, will be $98 million in the coming fiscal year. That’s $28 million for police, $17.4 million for fire, and $15 million for Parks and Recreation. Another $10 million supports both the Economic Development and Planning departments.That’s some real money. Memo to Council: How do we share a piece of this with those who are most vulnerable? I spoke to a source, deep inside the city, who knows something about the state of homelessness in our town and what it might take to adequately fund shelter and counseling services for a houseless population of probably over 1,000. My mole starts out by saying that a shelter for 150 would make a real dent, and it would cost around $5 million to build a 25,000-square foot facilitythat includes showers, bathrooms, bunk beds, storage, kitchen, and laundry facilities. (What about using the vacant Sports Authority building on River Street I ask? My mole’s in favor of it!) Also, some small offices for counseling services and meeting spaces should be included. This type of shelter would then cost around $1.4 million per year to operate. This would takethe city council committing real money to have even a remote possibility of achieving perceptible change in an otherwise now dismal and seemingly intractable homeless scenario.All it would take is one councilmember to make a motion to direct the Santa Cruz City Manager, Martin Bernal, to bring back to the council a budget that fully funds the needs of the most vulnerable in this city, and then another councilmember seconds the motion and four out of seven total votes forces the city manager to include the project in his budget. Santa Cruz city council, we can do this! We have to do it. Right now, reacting to homelessness is costing our city in excess of $20 million in police, fire, public works and parks and recreation resources according to the city manager’s office. Can we pony up the $6.4 million?Yes, it’s not without risk, but the hope is that this investment will save us many millions later. It will not be easy, no one ever said it would be, but we’ve got to begin now. The city charter of the city of Santa Cruz states that the City council can hire and fire only three positions: city manager, city attorney, and city clerk. But somehow on Feb. 11, 2011, the city council, made a backdoor charter change without a vote of the people of Santa Cruz and decided to fold the city clerk position into the city manager’s office. So now the city clerk is called, the “city clerk administrator,”and is hired and fired by the city manager, Martin Bernal, who also hires and fires all other city department heads. The city clerk is integral to the functioning of a healthy democracy and must be answerable to the city’s elected representatives, the ones who must stand for office. Perhaps this is too much “inside baseball,” but it is mystifying to me why a past city council would dispense of their duty of overseeing a city clerk, and allow the position to migrate into the city manager’s office? The fact remains that even the city’s web site http://www.cityofsantacruz.com/departments/city-clerk still brings up a “City Clerk” web page even though the official title is now “city clerk administrator.”I’ve been looking around, and no cities that are similar in political temperament to Santa Cruz have this “administrator” position…not Berkeley, Boulder, Huntington Beach, Austin, Madison, or Asheville. The city clerk position is a key municipal outpost for critical, unbiased, and free information for city voters and I for one would like to see it restored to its full government status. *Because That’s Where the Money Is! Chris Krohn is a father, writer, activist, former Santa Cruz City Councilmember (1998-2002) and Mayor (2001-2002). He’s been running the Environmental Studies Internship program at UC Santa Cruz for the past 12 years. He was elected last November to another 4-year term on the Santa Cruz City Council). I attended both of the Special Meetings called by the County Board of Supervisors last Friday and Saturday (yes, Saturday 6/3) morning at Hotel Paradox. The sole purpose was interviewing prospective candidates for County Administrative Officer (CAO). Friday’s meeting included the Technical Advisory Group, which included two people from San Mateo and Marin Counties as well as very limited staff from Santa Cruz County. The applicants remained obscured. In fact, much of this process has been and remains obscured from the public. One other member of the public and I discussed this with the County Supervisors during the mandated public comment period. I asked about the criteria that the Supervisors would be using to evaluate candidates. No response. I also asked why the interviews could not be conducted in the County Building immediately next door, rather than spending a lot of taxpayer money on lavish meeting rooms and food. Hotel Paradox staff told me the rooms reserved by the County cost $1000 for a morning, just for the use of the room. Food is extra. Two of the six candidates interviewed were from other states…did taxpayers pay for their rooms? Saturday’s Special Meeting was without the Technical Advisory Group. The goal that day was to select the final candidate. I still got no answer to a request for the evaluation criteria or for the public’s ability to observe the interviews. I wonder whom the Board chose? Stay tuned…. I attended an orientation meeting for prospective County Civil Grand Jury last week. I learned a great deal. What I thought interesting is that grand jurors are naturally not allowed to discuss any aspect of investigations with anyone other than fellow grand jurors, but that gag order extends in perpetuity. It is a misdemeanor to violate that silence. Wow. I think I can keep a secret…. WHY IS THE COUNTY CONTINUING TO ALLOW BARRY SWENSON BUILDER TO BULLDOZE MASSIVE AREAS OF THE ARCHAEOLOGICAL SITE BEHIND THE APTOS STATION AND NO ARCHAEOLOGIC OR NATIVE AMERICAN OBSERVERS ARE WATCHING? I just witnessed massive bulldozers digging within the heart of the archaeologic site CA-SCR-222, dumping the dark brown earth into a dump truck. The dump truck unloaded the earth on the other side of the construction site, near where the diesel tank was illegally removed and contaminated soils. Another bulldozer then spread the archaeologic site soil all around. THERE IS NO ARCHAEOLOGIC OR NATIVE AMERICAN OBSERVER WATCHING. I am disgusted. This area is within the Phase II area of the development, for which NO FINAL MAP has been approved. Grading permit? Local Native American observer, Ms. Ann Marie Sayers, is not able to visit the site immediately due to health issues. You and I must be a voice to speak out against this intolerable violation of mitigations required of the Project (CUL-2, CUL-3). YOU WILL TOLERATE A NISSAN CAR DEALERSHIP IN YOUR NEIGHBORHOOD! Well, that was pretty much the sentiment of the Nissan Dealership owner last Wednesday during the community meeting at the Fairfield Suites, despite the public resistance.. The meeting was well-attended, but unfortunately, no one from the Planning Department was there (as had been mandated by the Planning Commission). I wonder what a “Focused Environmental Impact Report” involves? I was glad we did not get separated into small fractioned groups. Allowing everyone to hear what other members of the public have to say is a good community-bonding experience. APTOS VILLAGE PROJECT CONSENT AGENDA APPROVAL TO BE HEARD ON AUGUST 8. The County Board of Supervisors will vote Tuesday, June 6, to assume the jurisdictional power to hear the appeal of the people against the Aptos Village Project. Mark “August 8” on your calendar and plan to attend. I wonder if it will be an evening meeting so that people who work can participate? NO MORE QUIET COUNTRY LIVING FOR PLEASANT VALLEY AREA. That “quiet country living” seems what the Planning Department is set on wiping out with the approval of the Lester Winery Commercial Event Center. How can the Zoning Administrator, (Assistant Director) Ms. Wanda Williams approve this use when it is not allowed by County Code? 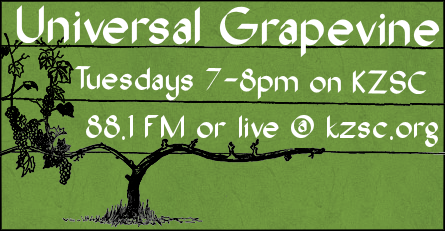 Amplified outdoor music until 9pm? Planner Sheila McDaniel wrote the condition that if no one complains within six months after the large events (200 guests) get started, the event center owner can apply for and get approval to have even more large events. Pleasant Valley is a narrow country road that is popular with local cyclists…but the event center traffic will most likely make it no fun to ride a bicycle in that area. 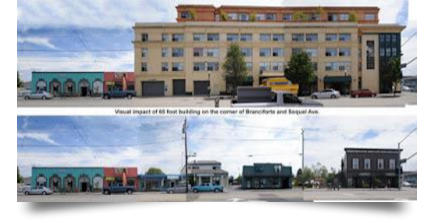 Attend the June 14 Planning Commission Public Hearing, 9am, 5th Floor at 701 Ocean Street. Take a look at the flawed documents on the Planning Commission website, Item #7. 1400 PAGES AND WHAT WILL WE GET? This week’s County Board of Supervisor meeting agenda packet is a whopping 1400+ pages! Wow. I am glad the online agenda will once again accommodate written comment by clicking on the icon next to the item number. Here are some of the highlights on the Consent Agenda (who said they meet the definition of “non-controversial”?) The public gets a total of three minutes to talk about all of the Consent Agenda…get ready, get set, go! 1) Item #18 Calling all developers! Who wants to build a big three-story “visitor-serving” hotel at 7th & Brommer that will cover 50% of the acreage? But wait a minute, that is NOT what the 140+ residents said they wanted to have happen on that 8.3 acre site next to the harbor. Here we go again, folks. The Planning Department hires an outside contractor to conduct public workshops to gather public input, then along with the Economic Development Department and CAO (and developers) decide what will maximize revenues for the County machine. I was at the April 27 public workshop for this project…most groups (except the one where developers congregated) were clear: the land should be used to best benefit the local residents, not handed over for tourist dollars and traffic jams. The people wanted priority given to the harbor needs, and affordable housing and natural open space. Well, the developer will be chosen August 28…and the EIR process begins. I’ll just bet it will be awarded a Negative Declaration, with no significant impacts on the environment, right? Well, 2/3 of the property sale amount has to go to the local schools…. 2) Item #14: County taxpayers will loan school districts millions $$$$$. Apparently, when local schools do not have enough money to meet current maintenance costs, the County Board of Supervisors approves a loan. But I do not understand why the schools need to annually borrow millions rather than budgeting in maintenance costs themselves. This year, the total loan amount awarded by the County is $18.5 million. I do not understand why Santa Cruz City School District is asking for $10.3 million (up nearly $2 million from last year) considering that the voters passed two bond measures that give millions more to that school district for capital improvements? Hmmm…. Here are other loans: Pajaro Valley Unified School District: $5 million (they did not make a request in 2014-15); Soquel Elementary: $1million; Live Oak School District: $1 million; Scotts Valley School District: $1 million; Pacific Elementary (their first time to request funds): $200,000. 3) Item #81: Award (without bid) $231,331.34 to Anderson Pacific to do extra work at the Boulder Creek School as a change order for the contract awarded last year. The original low-bid submitted by Anderson Pacific was $514,324. Should a change order for about 50% of the total awarded low-bid contract really be approved without going back out to bid? Somehow that just does not seem fair or frugal. 4) Item # 56: Approve a draft Accessory Dwelling Unit (ADU) Incentive Program: The Planning staff is proposing to waive the $3,000 sanitation system connector fee, reduce permit fees for new construction by 50% , with anywhere between 10%-50% reductions for conversions of existing structures. Waive soils report requirements. No parking? No problem…that will be waived. Want more height? No problem…22 feet tall and a limit of 19 feet for units on a garage, but staff will “tweak things” and let the Board know what to do in the final Report. Stay tuned for the Final Version on August 22. 1) Item #84: County Fire contracting with CalFire for a 3-year contract. The cost is reduced because of eliminating a heavy equipment mechanic job. Who needs a working bulldozer to cut fire lines anyway? Hmmm.. Item #25: Thank goodness, the Loma Prieta Volunteer Fire Station will finally get their new equipment. The community raised most of the money themselves to buy it while CAO Mariello refused to give any money from the Proposition 172 Public Safety sales tax coffers (that was $17,000 last year) to fund County Fire volunteers and equipment. 2) Item #89: Department of Public Works evidently passed “go” and has collected $50,000 in unanticipated funds…just in time for loaning $100,000+ to buy parking meters for Soquel Village. The item reads: “On May 10, 2016, your Board created County Service Area (CSA) 9F, Soquel Village, with the intent to fund operation of the Soquel Village public parking lots via a benefit assessment of property owners. Public Works conducted a ballot proceeding, which FAILED, with 16 percent in favor and 84 percent opposed to the proposed benefit assessment.” Well….it seems that the action is moving forward anyway, just in a more creative form…. Well, this is all just a prelude to the 2017-2018 County Budget hearings scheduled to begin June 19. Go see the glossy, full-color version of the budget at the 5th Floor Clerk of the Board office….I wonder how much that cost? I think we need a consultant to figure that out…..
WRITE ONE LETTER. MAKE ONE CALL. MAKE A BIG DIFFERENCE. BUT DO SOMETHING THIS WEEK. “Two former Theranos Inc. directors said they didn’t follow up on public allegations that the Silicon Valley blood-testing firm was relying on standard technology rather than its much-hyped proprietary device for most tests, according to newly released court documents. In depositions, the highly decorated former directors—former U.S. Navy Adm. Gary Roughead and former U.S. Secretary of State George Shultz —who were board members when concerns of employees and regulators became public—said they didn’t question Theranos founder Elizabeth Holmes about the matter. Schulz was specifically quoted as saying that he “didn’t probe into” whether the company’s technology was working, adding: “It didn’t occur to me.” This is, actually, both alarming and all too common. The Board of Directors of any company is ultimately responsible for what the company does. The Directors are supposed to make sure that corporate managers are running the company responsibly. When there is any credible suggestion that there are problems, the Directors are supposed to look into the matter, and take appropriate action. In this case, though, Director Schulz said that “it didn’t occur to me” to question corporate management, even when responsible sources, like The Wall Street Journal, were suggesting that the company was “faking” what it did. Unfortunately, it is not uncommon for those with ultimate responsibility to defer, unquestioningly, to the paid managers they have hired, when questions are raised about what those paid managers are actually doing. It happens in government, too, not just in the corporate world. Recently, the City of Santa Cruz has embarked on a “Corridor Rezoning” process that seems to be aimed at turning the City’s four main transportation corridors into valleys of high-rise, “mixed-use” commercial and residential structures something like what you’d see in San Jose. Concerned residents have formed a new community group, Save Santa Cruz, to try to get this corridor rezoning process under community control, and to “Stop Overbuilding Santa Cruz.” The very first suggestion of Save Santa Cruz was that the City Council should get involved, even though the current process doesn’t call for that, so the Council could evaluate for itself what is happening. The City’s Planning Staff and consultants want to carry out this process without any City Council involvement at this time, telling the Council that things are going well, and that the end result, coming early next year, will be everything that the Council could ever want. From my perspective, having had twenty years as an elected official in Santa Cruz County government, this is the point at which the Council should intervene, and hold some meetings to get some direct testimony from the public, rather than relying simply on what their management staff is telling them. The City, in other words, should not be following the example of George P. Schulz, who “didn’t probe into” the complaints that were being made about the organization for which he was responsible. Somehow (although that was his job), it didn’t occur to Schulz to see if the complaints were valid. I’m hoping that the Santa Cruz City Council doesn’t make the same mistake, where this Corridor Rezoning process is involved. CLASSICAL DeCINZO. DeCinzo’s “movable event” center!! Scroll below. EAGAN’S DEEP COVER. 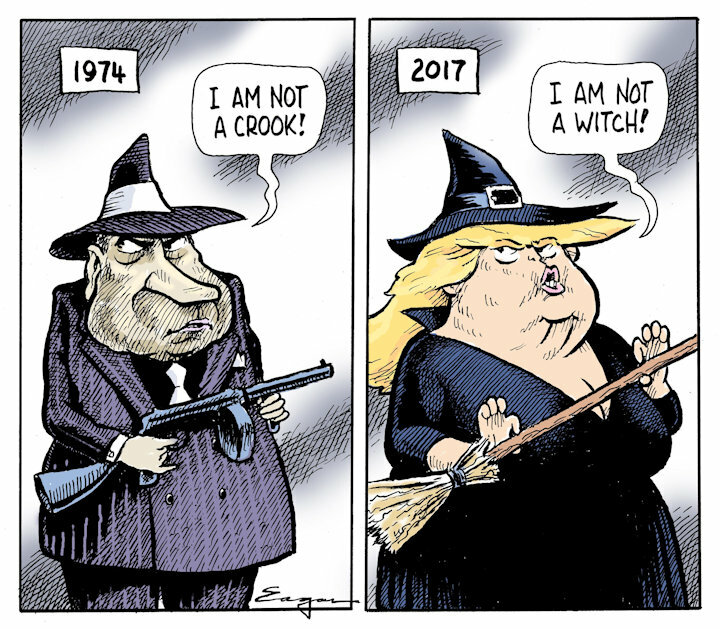 See Eagan’s ” Crooks and Witches” down a few pages. As always, at TimEagan.com you will find his most recent Deep Cover, the latest installment from the archives of Subconscious Comics, and the ever entertaining Eaganblog. LISA JENSEN LINKS. Lisa writes: “This week at Lisa Jensen Online Express (http://ljo-express.blogspot.com), consider some thoughts on being here now (as we used to say in the ’60s), enjoy a vintage illustrated storybook that just plopped into my lap, and pardon me while I blush over this thrilling video review of Alias Hook on You Tube. Also, can Wonder Woman save the superhero movie? Find out in this week’s Good Times!” Lisa has been writing film reviews and columns for Good Times since 1975. THE WEDDING PLAN. A young woman of 30 living in Jerusalem plans on getting married, but her guy leaves her a few weks before the arranged and planned wedding. . It’s a curious study and comedy about culture, faith, dreams, religion and you’ll watch her go through hell. Whether she carries it off, or not, or how… is fascinating. A few dull spots but there are many other rewards…go for it. CHURCHILL. Brian Cox makes a half way accurate impression of Winston Churchill in this saga of a failing old man trying to stop Britain from being involved in D-Day WWII. Many Churchill scholars and many other historians say the entire script is wrong, distorted, and should never have been made into a movie. But no matter, the movie..true or false, isn’t very good or exciting anyways. And Commander Dwight D. Eisenhower played by John Slattery comes off like a goof ball. A QUIET PASSION. This one got a 94 from Rotten Tomatoes,,,not from me. It’s part of poet Emily Dickinson’s life story. Emily is played by Cynthia Nixon and she’s wonderful. He’s hard to recognize but Keith Carradine plays her dad. (remember when his real dad John Carradine played at Cabrillo College’s Summer Theatre?). The entire film and everybody in it is stiff, cold, unemotional, and it feels like only a string of quotes strung together, with not a genuine human reaction to be seen…or felt. ENDS Thursday, June 8. EVERYTHING, EVERYTHING. There’s not that separates this teen age Hallmark Greeting Card feel- good saga from the rest of the teeny muck cutesy flicks except the extreme cruelty of the girl’s mother. The acting is passable for a teen-age movie and all of the audience attending when I was there were teenagers. So go if you are a teenager, but any older than that….stay home or better yet go see Citizen Jane. Ends Thursday, June 8.